Powdersville Schools! This immaculate and well loved one level 3BR 2BA home with tons of upgrades is located in the extremely sought after Spring Hill Farm subdivision in the thriving Powdersville area. 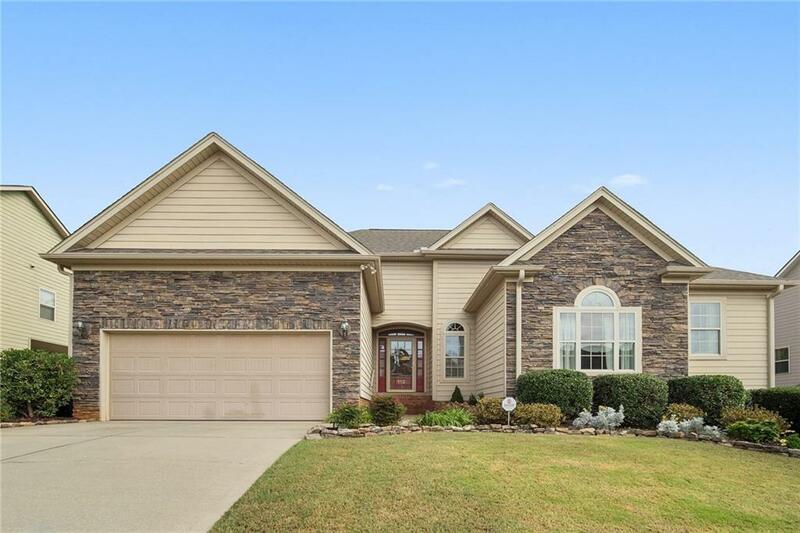 Beautiful curb appeal welcomes you as you pull up the drive and gleaming hardwood floors greet you at the front door; eagerly waiting to carry you through the wonderfully open floor plan that is perfect for entertaining family and friends. Upon entering you will encounter superior workmanship with the heavy molding and trim work, rounded corners, arched windows and so much more. The large family room features vaulted ceiling, gas log fireplace, ample natural light through the many windows and is open to the beautiful kitchen. The kitchen has more than enough storage and countertop space with the detailed cabinets, granite countertops and custom-made Kitchen island! The large screened-in porch is located just off of the breakfast area and overlooks the private fenced-in backyard. The master suite is the ultimate master retreat that is topped with a trey ceiling that emphasizes the grand dimension of this spacious personal space. The incredible bathroom with ceramic tile, Jacuzzi tub, separate glassed shower, private toilet, His and Hers vanities AND an enormous walk in closet! Two other large guest rooms and a guest bath with dual sinks are located on the other side of the home. Donât miss this great opportunity in this wonderful family friendly neighborhood with great community pool!